How often do you come to Aba Market only to buy fabrics and textiles? Also, how difficult do you find it, especially when you know how huge and congested the market place can be? 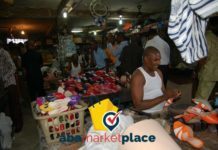 Above questions were deliberately considered before unveiling a platform called ABA MARKET PLACE (AMP). 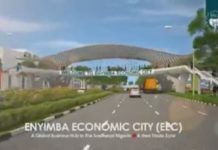 For those living in the Northern and Southern part of Nigeria, this platform will be extremely helpful, thus the need to start advertising it. Powered by ABACITYBLOG, AMP will ease off the hurdles from buyers coming outside Aba. 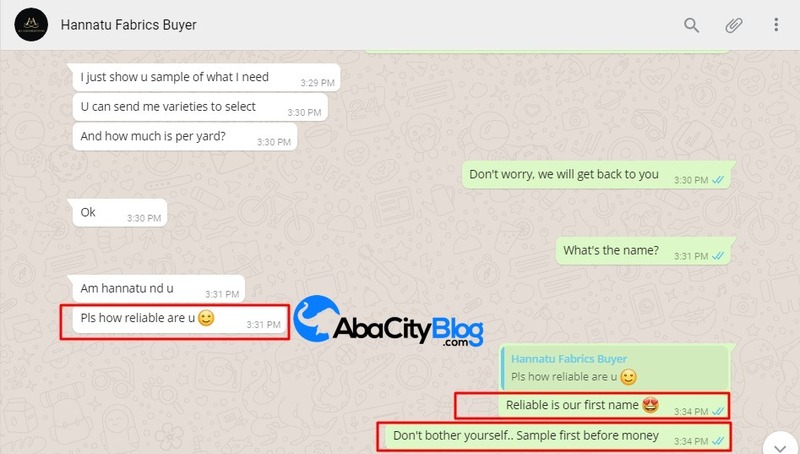 But before AMP goes live, ABACITYBLOG has offered an opportunity to help buyers who coming to Aba might be too far, but wishes to buy from Aba Fabric Market. 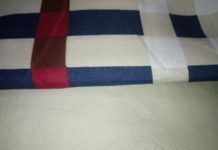 Recently, we delivered a Fabric to a CUSTOMER living in Katsina, she contacted us for help, which we have delivered, she received her package and thanked used for helping out. But how possible can that be? I know that is major question going through your mind while reading this. Well, EVERYTHING IS POSSIBLE. She contacted us through our contact page and added us on whatsapp (07038111972). 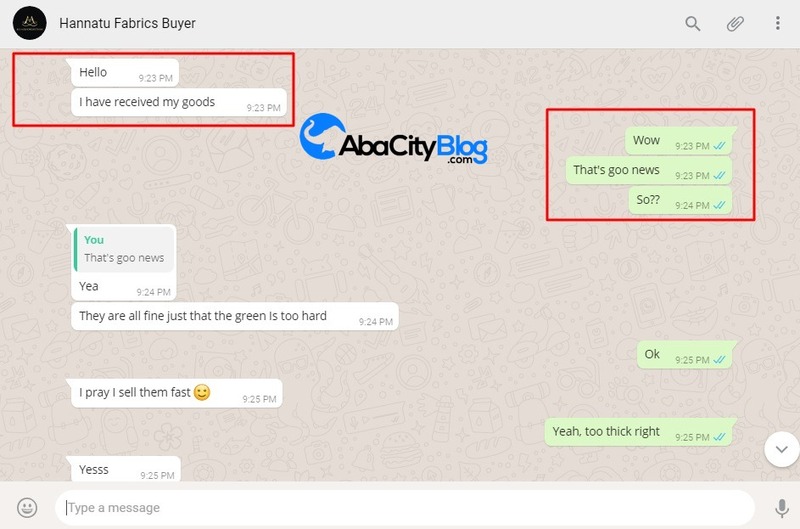 We chat, she sent us the samples she wants to buy from Aba Fabric Market, we explore the market and get back to her with the samples she requested, she accepted, sent money and the rest is testimony. Can you do that? Send money to people you have never met? We believe you have read the chats, now let’s proceed on why you should allow us to help you. 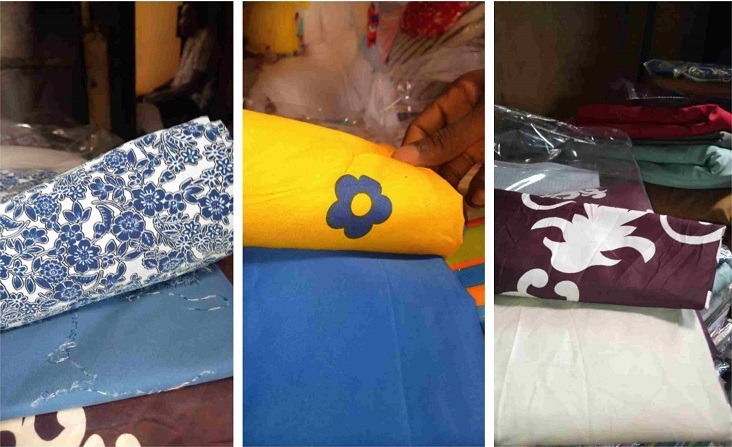 As huge as Aba Fabric Market, there is a need to help people who might not find it easy to come. Like Hannatu, a customer we showed you above, she needed help and she got it . Same applies to you if indeed you need same help. How Much Did We Charge Her? I believe you just asked that question now, well, we didn’t, we only asked her to pay for the logistics (Transportation & Sample) which is just a token of N5,000 Only, and she gladly paid then we delivered. We deliver through way-bill (Transport Company). Specifically by destination of the buyer. A day, depending the distance of the buyer and the delivery vehicle. It was officially unveiled to assist people who may find it difficult to visit Aba Fabric Market. Make sure you have your samples ready before seeking our help. Our charge known as logistics is meant to keep us serving your likes. 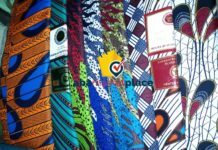 In conclusion: Aba Fabric Market is huge, with this opportunity, you can buy all the stuffs you need in the comfort of your shop while we deliver it at your door step. So why don’t you shop with us?